It started with a cheese medal and ended with a software start-up. Team 5 had an interesting first story. As the deadline neared and sources lacked, we needed a miracle. Luckily, Jared found us a start-up Screenwriting company that was located right here on campus: SoCreate. 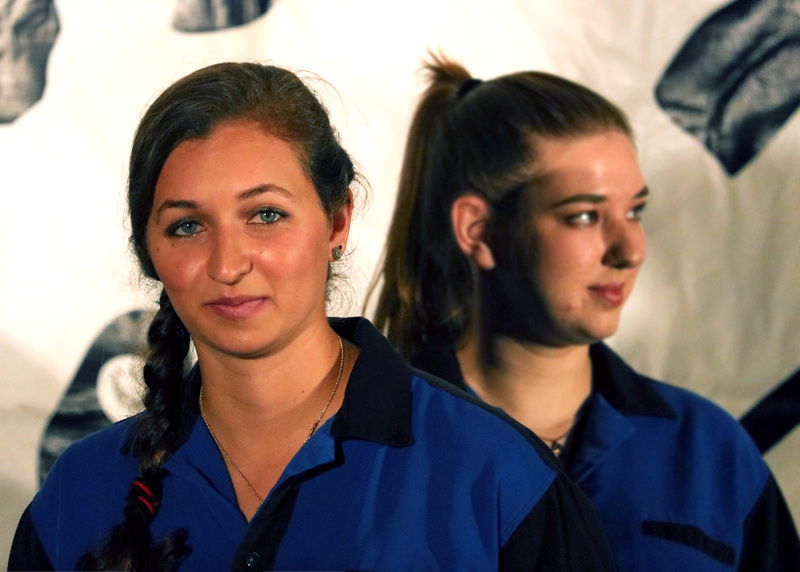 Initially Team 5 was going to write our story on the Cal Poly Creamery, and that fact that it just won a medal for it’s “Grand Gouda” cheese in a national competition. However, we had to change our angle once Mustang News reported on the story. So, our team moved toward a feature of Cal Poly’s creamery based on the release of 30 new Ice Cream flavors. Unfortunately, the creamery advisor was out of the country and the students did not know enough about the flavors to ask our pressing questions. Team 5 worries before finding SoCreate. As the deadline neared, we found SoCreate. Jared, Nick and I ran to the Startup Career Fair in the Chumash Auditorium on Monday, April 15th. There we met Amy Pruett who invited us to the office on Wednesday. Jared and Nick were humbly welcomed into their office. The walls are soon to be covered in murals that represent old classic films and the staff were all very welcoming and excited to see us. The office is to reflect one of their bigger goal: fostering creativity. Courtney Meznarich stands in front of one of the first of the murals to cover the walls. We went to the office to decide what exactly the software had to offer. We wanted to know what made So Create unique, and the inspiration to create such a software. Our angle was going to be a feature on this unique company in the Technology Park at Cal Poly. 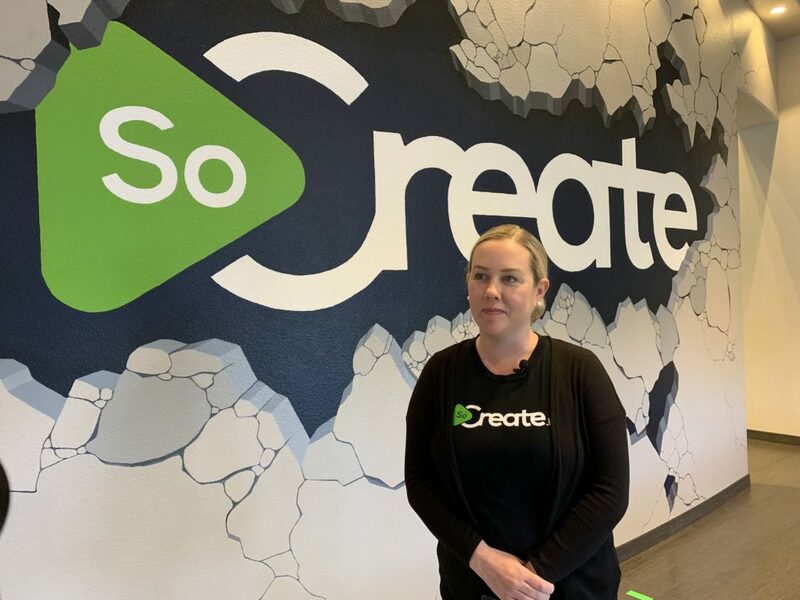 We interviewed Justin Couto, the CEO of SoCreate and Courtney Meznarich, director of community outreach and some of the employees working on the software. Hannah also was able to meet with Randi Barros of the Science, Technology and Society (STS) department at Cal Poly. SoCreate will not be launching until Summer 2019, but they are moving at the right speed to meet the deadline. Although there are other screenwriting softwares on the market, SoCreate is unique. It greatly simplifies the process. And on top of their software, SoCreate has a blog with tips and tricks that have to do with screenwriting. They claim that SoCreate will change film making for the better. This project forced us to think on feet, work hard and work fast. 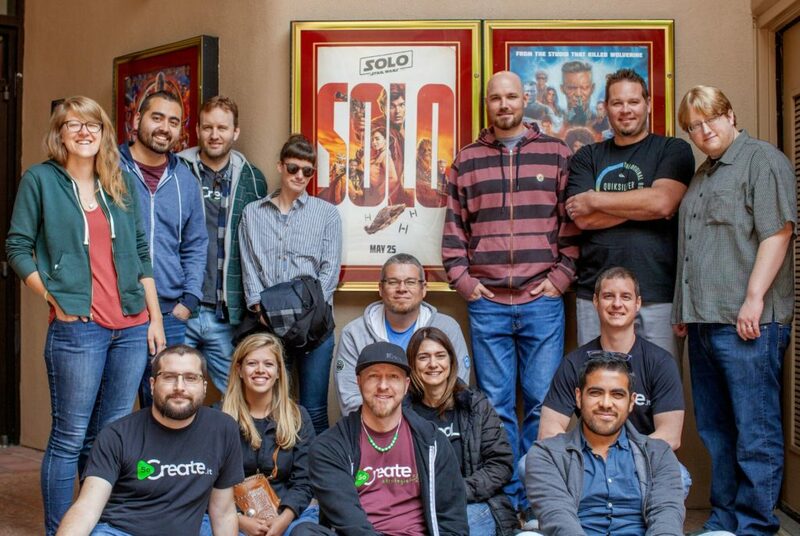 It definitely allowed us to come together as a group and create a story that was unique and interesting. This was a rocky start for Team 5, but it means that things can only go up from here. 3 story ideas, 2 sources who couldn’t meet our deadline and one final product. 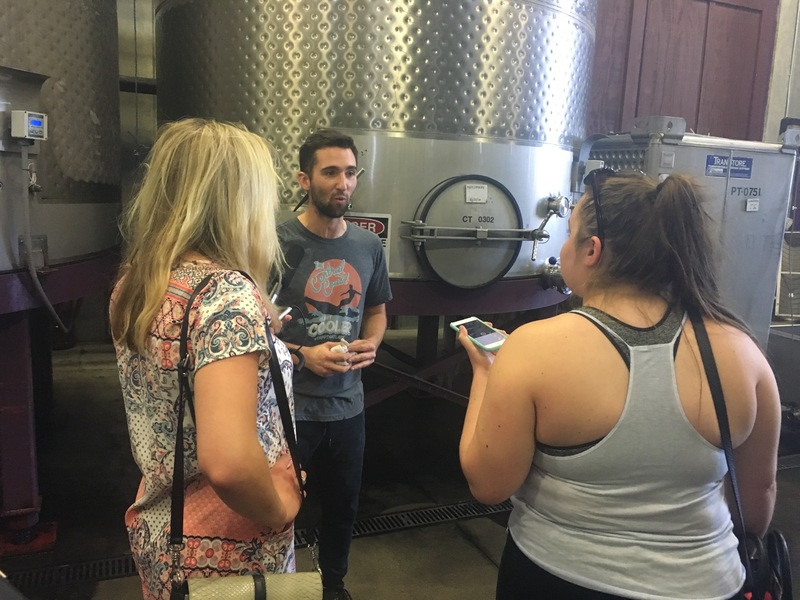 Team 4 started slow, but finished strong after Summer realized we had a key source to the story idea she pitched: a former Cal Poly professor who prides himself on the history of Cal Poly’s ‘P’. After leaving our huddle in class, I started the community engagement report. Summer and Daniel went to the Cal Poly Archives to look for some answers. The archives are home to photos dating back almost 100 years. 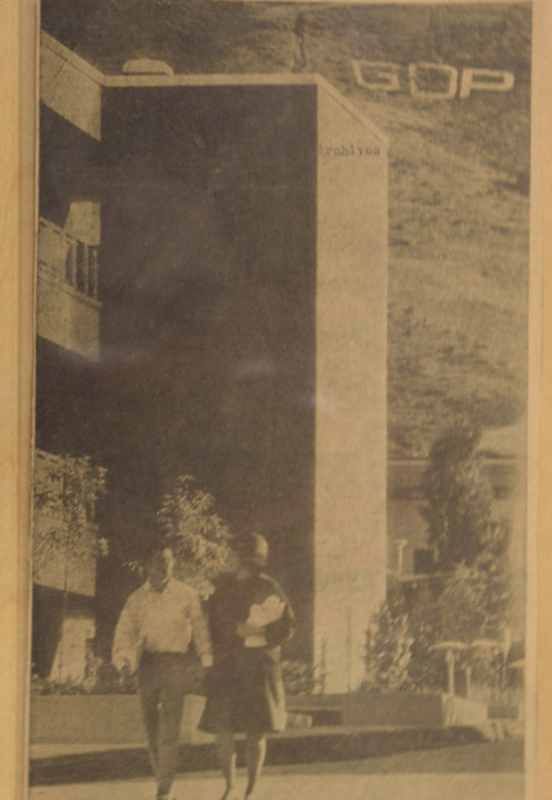 The photos revealed the P’s use as a historic landmark in Cal Poly’s history. The archives were a fan favorite within the group. 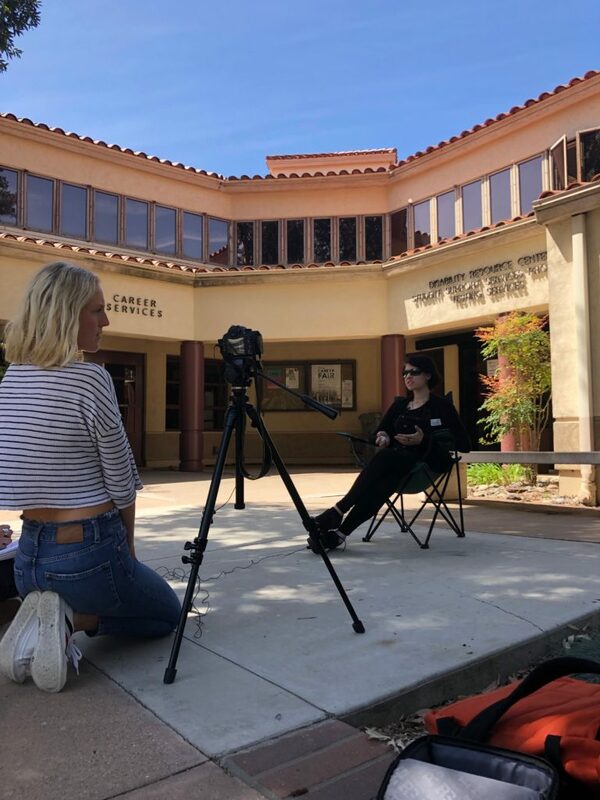 “It was really cool to be able to go through the Cal Poly archives and see Cal Poly throughout the years” Summer said. With a little additional research, it became clear that the P is a central figure for generations of students. From pranks to social movements, the P is a multi dimensional figure on campus. Steven Marx a former professor and co-author of Cal Poly Land and Field Guide sat down with Camilla to explain the history of the P. He was a key figure in our story and helped us piece together history from a variety of sources. He recalls when fraternities would go up to the P and make greek letters. “That period was really chaotic. One of my neighbors, she would go up there with a bunch of plastic bags and clean up the mess,” Marx said. Even after a few sources bailed on us, Camilla was able to graciously put together an incredible piece revealing the untold, unknown story behind the P.
“I had to research a lot but the article came out good” Camilla said. With the photos and information Daniel and Summer got from the archives, the history slowly began to fall along a somewhat completed timeline. To wrap up the story and get footage of the P, Daniel made the journey to the top of the P at 6am to get new footage. Daniel explained that hiking the P was. “Definitely a challenge, but other than that I learned so much about the P” he said. “The archives are really cool” he added. To make a story even more timely, the P has now been painted orange and blue. But who knows, by the time our story is published it might even be changed again. This time however, the students will have a little better understanding as to how and why. Once we got wind of the fact that multiple students were selling pictures of their feet for money we knew we had to know more. 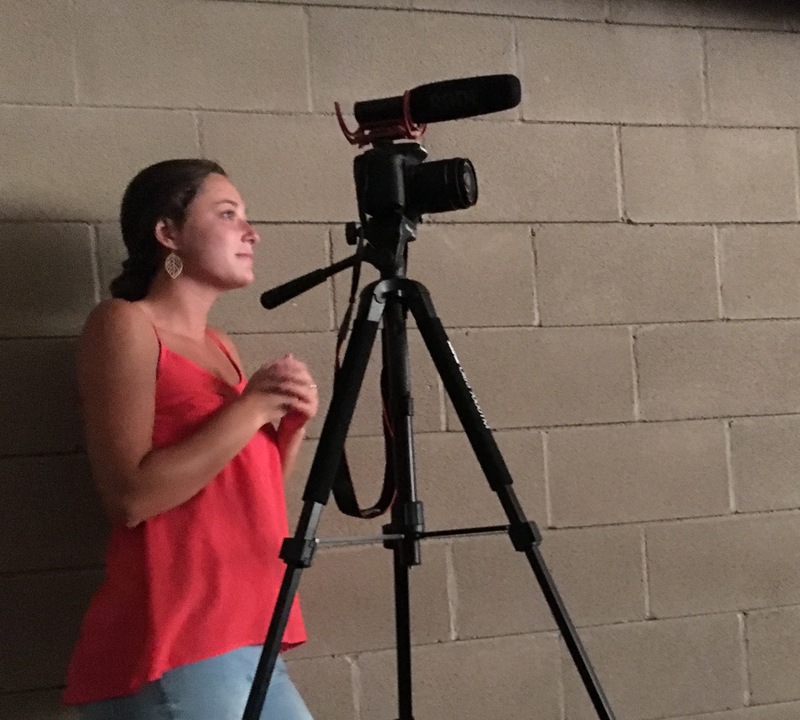 “It was interesting learning about a community I didn’t know about previously” Erin Gabel who did audio and video for our story said. None of us had heard of this before. “I really enjoyed taking a taboo topic with all of our negative preconceived judgments about it and flipping it all on its head. I feel that I have a deeper understanding of sexuality and how people can creatively make money.” Leah Castillo. Finding anonymous sources was a huge struggle of ours. Leah posted on a few Cal Poly class of 2019, 2020, 2021 Facebook pages and ultimately that is how we found our sources. However, there were many internet trolls having a field day with our topic. My personal social media account posts also were also not taken seriously, which added another obstacle for our sources and audience research. 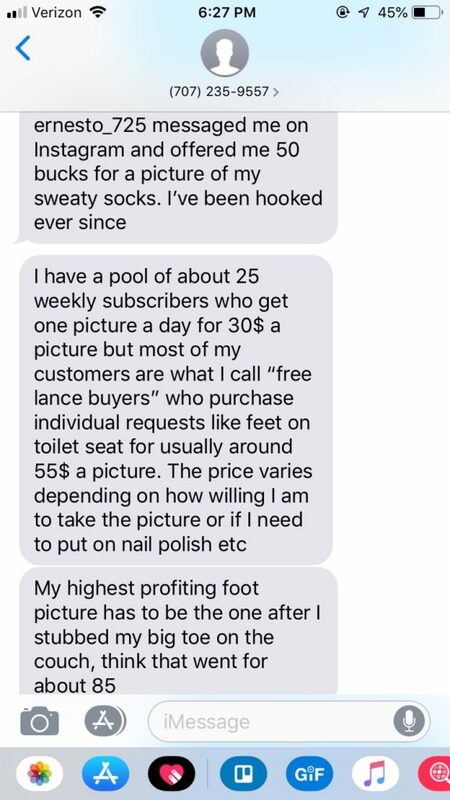 Although I did have a significant amount of people legitimately ask me how they could make money selling pictures of their feet. I thought this was interesting and found this article online which I have somewhat jokingly sent back to them. Multiple sellers we were talking to who were initially okay with being a named source backed out. Since one of the things that drives people to selling feet pictures is the anonymity factor, it was difficult to convince people to feel comfortable being identified. Finally once we found George, who is comfortable being named and was open to talking about his experience, Leah and Erin did a video interview of his process in taking pictures of feet. Again though this was a creative struggle because there was not much to take pictures and video of since his process is rather simple. When we went to interview Queer and Gender studies professor Steven Ruszczycky, he was not comfortable being filmed, so we could only record audio which limited our audio-visual opportunities. The interview with professor Ruszczycky was beneficial in shaping our story. He helped us to understand where fetishes originate and the ways they are sexualized and normalized in our culture. 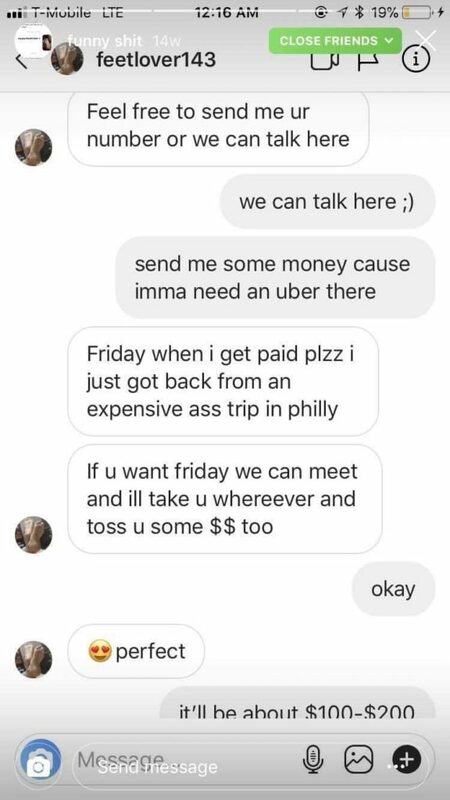 For our final source I interviewed a female Cal Poly student who has sold multiple feet pictures. The way she normalized her experience really illustrated why people do this. “My favorite thing about this story was that we got to see the different perspectives from each gender selling feet pictures. They both brought very interesting things to the table.” Dante DiFronzo our written reported said. This process was definitely not easy but the final story is something we are all proud of. A store in downtown San Luis Obispo transforms junk into art. Now, substitute “a store in downtown San Luis Obispo” with “four students from Cal Poly” and you have the basic premise of our group’s experience with this story. Tabata Gordillo, Jay Serrano, Kelly Martinez and I had a bit of a rocky start with our story. We had originally planned to cover JunkGirls, a store in downtown San Luis Obispo. The story had an important meaning and great potential for visual components. However, we weren’t able to conduct an interview for unexplained reasons. 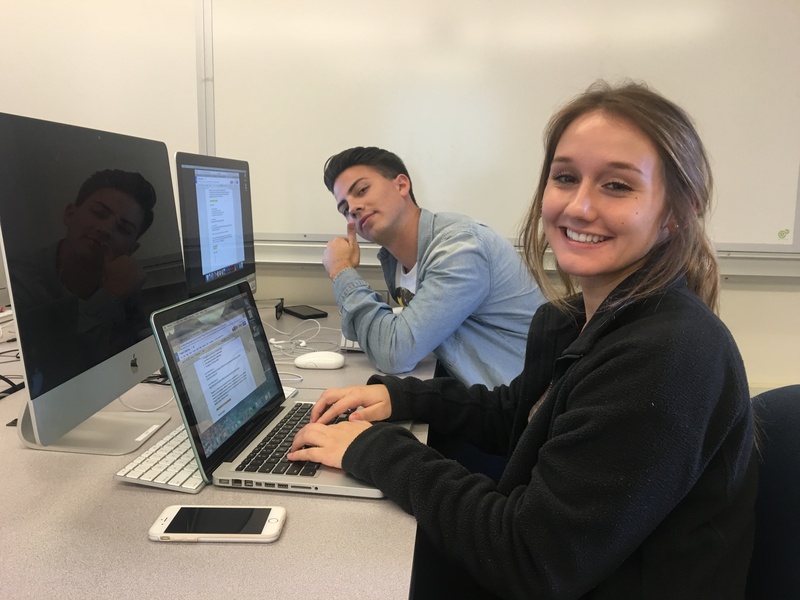 “I think the hardest part of this process was having to pivot story ideas last minute,” journalism senior Kelly Martinez said. Once our first story idea dropped, we had to quickly come up with another. We were working on an unforgiving timeline that would’ve eaten us alive if we didn’t think fast. Then, like Disney magic, two words came into Tabata’s head; party princess. One of my friends, Grace Trotta, dresses up as princesses and superheroes for children’s birthday parties and special events. I interviewed Grace previously for another class about her princess endeavors and knew she would be an amazing interview subject for this. Grace is obsessed with Disney. I knew we could get amazing visuals for this story because the first time I went to her apartment, I couldn’t look anywhere without seeing Rapunzel or pink. When talking to my group members about Grace, I tried to encapsulate how much of a character Grace really is. I don’t think they fully understood until they met her. 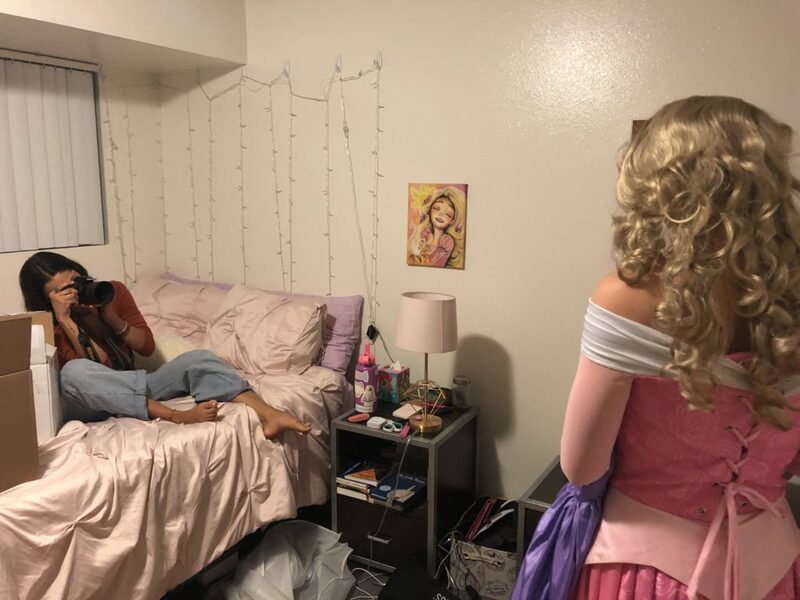 We all went to Grace’s Disney-filled apartment to conduct the interview and see her transform from a Cal Poly student into Sleeping Beauty herself. Grace greeted us at the door, bare-faced and eager. We all went up to her room, where she casually propped herself on her pink duvet for the interview. Jay set up the camera, Kelly opened her notes, and it was interview time. Once Jay turned on the camera, words began to flow out of Grace’s mouth without care. Unlike her poised demeanor as a princess, Grace Trotta is unabashedly candid and unfiltered. The hilarious and heartfelt stories Grace told unintentionally created some trouble for Jay. “The hardest part for me was matching words to video,” journalism senior Jay Serrano begins. “Grace has a lot of interesting stories, but you can’t really use them in video well unless you’re there filming it – the b-roll will feel out of place.” After the interview, Grace started putting on layers of make-up. “You have to absolutely cake your face in make-up,” sophomore communication studies major Grace Trotta explains. “Otherwise you’ll wash out and look like a potato. I’ve looked like a potato once or twice in my day.” Grace opens up the left side of her closet to unveil her princess costume closet. I think Grace’s take on party princesses made all of us think a bit more deeply about the profession. Princess narratives often include a passive, unrealistically gorgeous woman (by Western standards) who sits around and waits for a prince to save them. Grace, however, uses her role as a party princess to inform kids about topics like feminism and consent. When she dresses up as Cinderella, whose only claim to fame is losing her shoe at a party, she highlights the princess’ compassion and kindness. 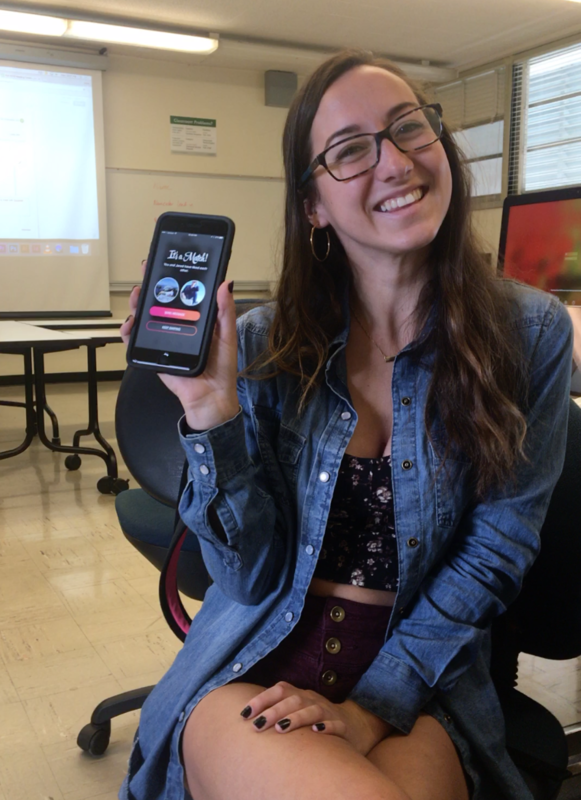 “I love how she uses this platform to educate kids about important issues,” journalism senior Tabata Gordillo said. “That’s definitely not in her job description, but it’s really important.” The interview was over and we all left the princess in her Valencia Apartments tower. When we pivoted to this idea, I thought that this story was going to be a bit of a fluffier piece. 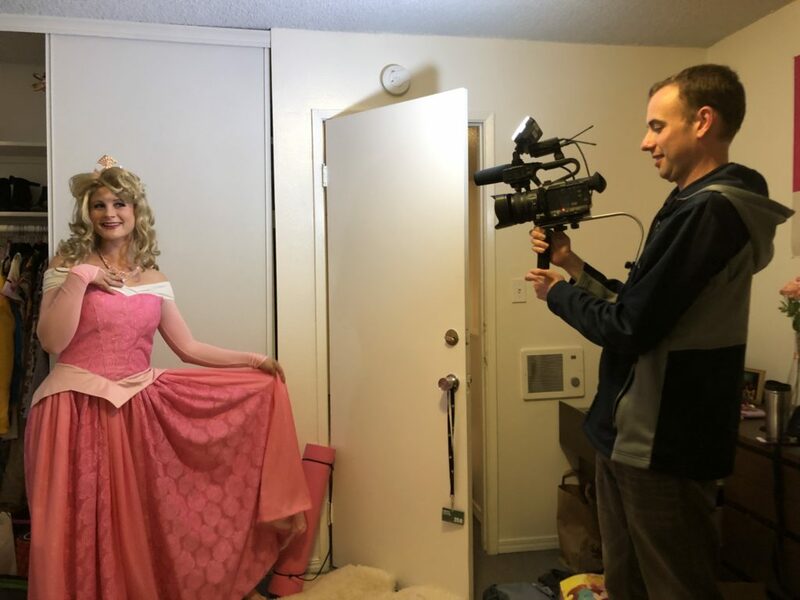 Who wouldn’t love to read a story or watch a video about a hilarious Cal Poly student dress up as Disney princesses? But Grace took it to a whole other level – which is why you should never underestimate a party princess. When choosing Truck and Tractor Pull as the subject for our first feature story, no one in our group really knew anything about it. After doing further research within the Cal Poly and San Luis Obispo community, I soon found that a big chunk of people didn’t know anything about Truck and Tractor Pull either. As soon as I got out of my car in the orange parking lot on campus on Saturday afternoon, I knew I was going to be in for something unlike anything I had ever experienced before. I saw herds of people flocking towards the loudest rumble of an engine that I had ever heard. As soon as Priya Sodlapur and I walked into the outdoor arena, we were both shocked. There were hundreds of people lined up in the stands, wearing ear plugs for that matter, cheering as loud as they could as trucks and tractors barreled down the raceway, pulling as much weight as they could. It was quite the spectacle. I felt like I had entered another world, one that I had never seen before. “I didn’t know too much about Tractor Pulling before we began this story, so for me it was especially interesting to go to the actual Truck and Tractor Pulling event and see the culture around it (and) how passionate the community involved in it is. In terms of my interactive portion of the story being at the event was great because there were so many opportunities for action shots of the actual event”, said Sodlapur. Truck and Tractor Pull has been celebrated at Cal Poly for the past 40 years. Being one of the biggest events during Open House weekend, it draws a large crowd. Katie Hoyer and Stephanie Garibay sat down with club president Bradley Livingston and previous club advisor Dr. Mark Zohns to discuss the ideals behind Truck and Tractor Pull, as well as its history at Cal Poly. “It was great experience learning the ins and outs of tractor pull. I didn’t really know anything before starting this project”, said Hoyer. Livingston, a bioresource and agrigcultural engineer junior, has been involved in tractor pull since he got to Cal Poly. “Basically, you’re trying to compete to see who has the strongest tractor”, Livingston said. Zohns, who was the advisor of the Tractor Pull club for quite some time up until his retirement, discusses Cal Poly’s involvement in the early years of tractor pull. “One of the students in this department built one of the first modified tractors in California”, said Zohns. 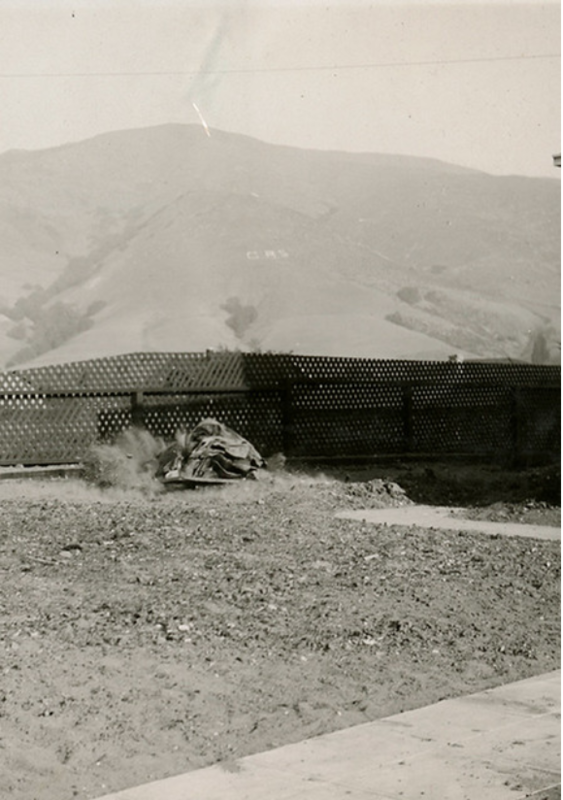 Cal Poly has been collecting photos and videos of tractor pull in its archives for quite some time. During my social engagement report, we got a lead on reddit about where to find them. “Yeah I thought it was really cool to learn about what tractor pull actually is because I had an idea of what it was but actually learning the technicality of it was really interesting. I also found video tapes from Tractor Pulls at cal poly from the 80’s so it was really cool to be able to see that”, said Garibay. It’s interesting to hear that one of our own could possibly be competing in the 2020 Summer Olympics. Zachary Donnefield by far had the scoop on his buddy Christopher Blevins, an American cyclist, and Cal Poly student. Zach’s basis for this feature story was based on how Blevins as a student-athlete manages the stresses of campus life, training, and a professional mountain biking career. Plus our team’s reaction toward the story was positive. As the strategy and engagement coordinator, some of my tasks was to contact and interact with the community. Right away I had difficulties with the social network engagement section of the assignment. I chose to reach out to people on Facebook, Twitter, and Reddit, all three social platforms are platforms that I have little to no engagement in. This proved to be the least successful and I quickly found out how crucial and essential it is in gathering information and insight from our potential audience. 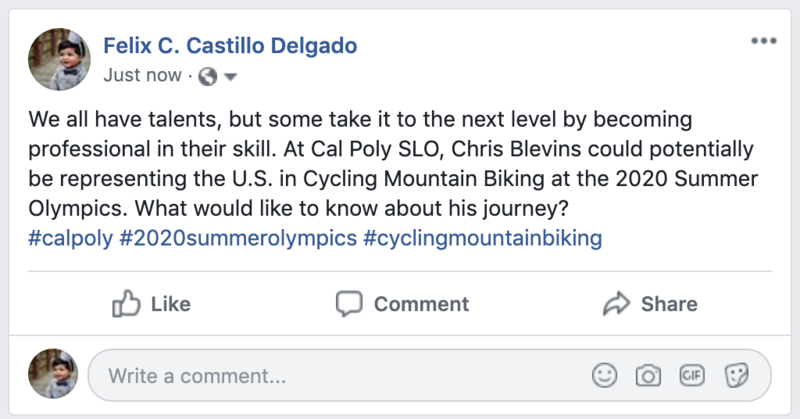 People were definitely interested in our story topic, plus everyone I talked to was unaware of Chris Blevins a professional student-athlete that has a shot at the 2020 Summer Olympics. Students want to read about how he manages to be a student and compete at their skill level. One has to be highly talented to be in the Olympics. I decided to crash Cal Poly women’s basketball head coach Faith Mimnaugh’s office because she definitely has experience with student-athletes and helping them with time management. 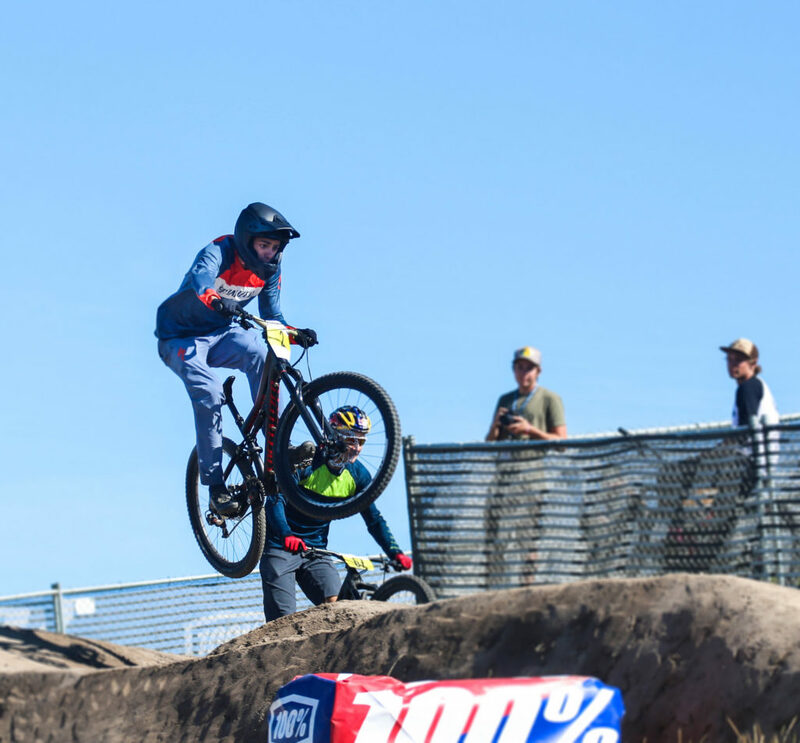 Week one had passed and by this time we were supposed to have footage and stills from Zach’s trip to the Sea Otter Classic in Monterey, California. Christopher Blevins took first place, but it was nearly impossible to gather our content. By this time I had dubbed Blevins “The Real Deal”, all the information that I read about this guy on him competing since the age of five. When I was five I could hardly color within the lines. 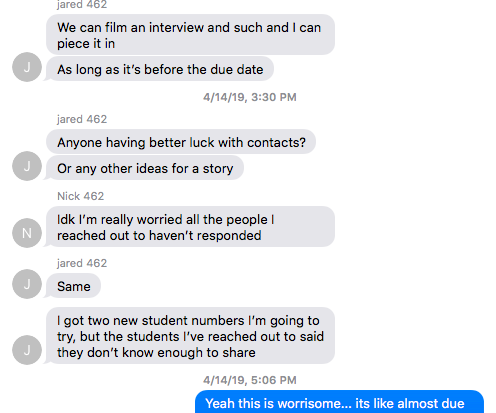 So I sat down with Zach and Caitlin to find out the scoop on the difficulties of reaching and scheduling interview meetings with our sources. Meeting up with our intended sources and managing busy schedules is all part of the journalistic process. This had us on standby and ready to literally pounce on our subjects. Caitlin and Kaylin are no longer surprised by this. Kaylin also had a tight deadline to meet, she managed to write a rough draft the night before having it critiqued early the next morning. “After listening to the interview, I realized how well-rounded of a person Chris is! So I wanted to make sure I capture everything he does including his music, volunteer work and of course biking,” Kaylin said. Everything after that seen to just fall into place, Zach and Caitlin had already conducted their interviews and had scheduled a video and photo shoot with Blevins, and Kaylin had a “good to go” on her rough draft. Kaylin said that writing an article that could possibly be published on Mustang News is tricky, but having a structure and outline really helps. We sat down on the first day our groups were assigned, some of us meeting for the first time, eagerly sharing story ideas we’ve brainstormed since our last class meeting. After a bit of dabbling with other story ideas, Emma said she was inspired by the Netflix show “Atypical”, a heartfelt story of a highschool boy with Autism. The show is filmed in a style where the viewer is following around the main character. So, we decided to try and imitate this idea, but make it local to our campus. 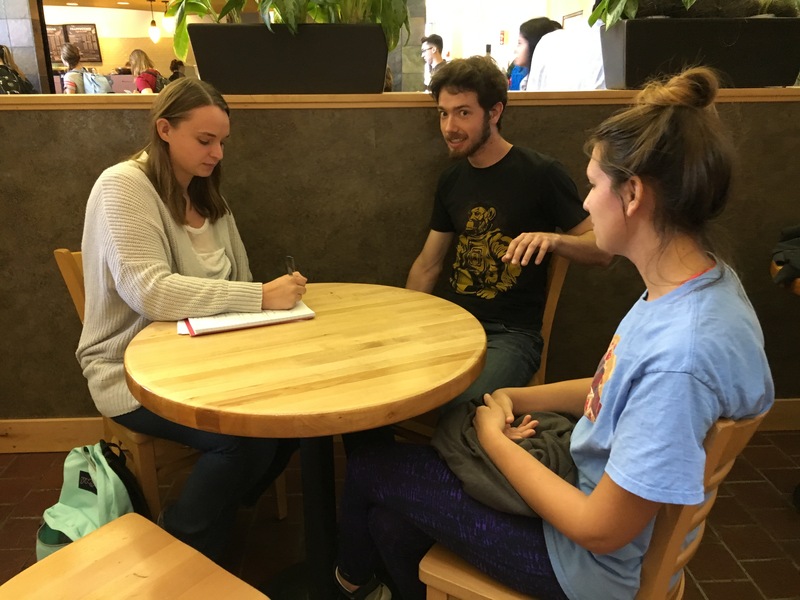 Our group thought this was a really important story to tell: what’s life like here at Cal Poly for students on the Autism spectrum? 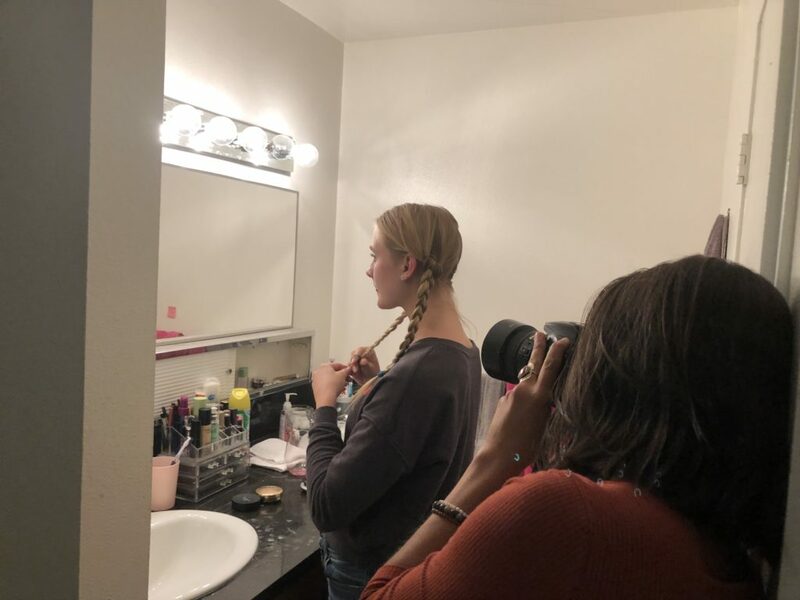 Our overarching goal of the story was to portray what life is like as a Cal Poly student who isn’t neuro-typical, meaning an individual who thinks in ways that are considered to be “normal” by the general population. We all agreed that much of the conversation about Autism centers around early childhood and adolescence, and far less involving college-aged individuals. Our early ideas were to do some sort of “day in the life” exposé, but that came with some roadblocks. The largest hurdle was trying to find someone willing to be followed around with a camera, for many people that would be a type of “outing” as autistic. 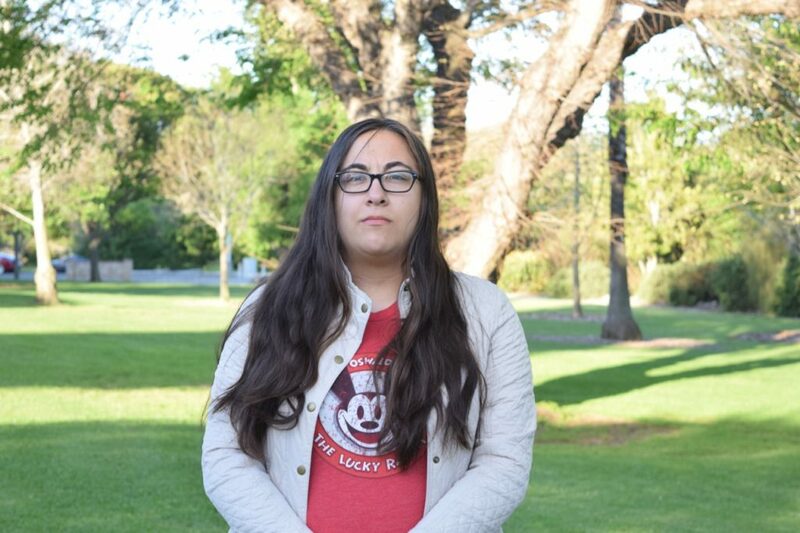 We got in touch with Jenny Peterson, a Cal Poly Alumni who works as the connections coordinator for the DRC, and is on the Autism spectrum. 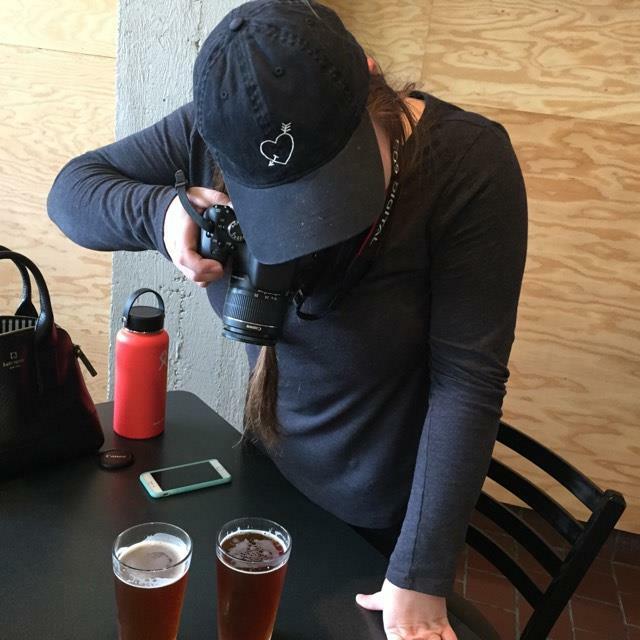 She got us in touch with Katie Whelan, a third year mechanical engineering student, who was willing to let us interview her. Jenny also volunteered her time to be interviewed. From there, each team member was busy doing their own specific duties. I began working on research, team coordination and general PR to see what the Cal Poly community wants to know about our topic. 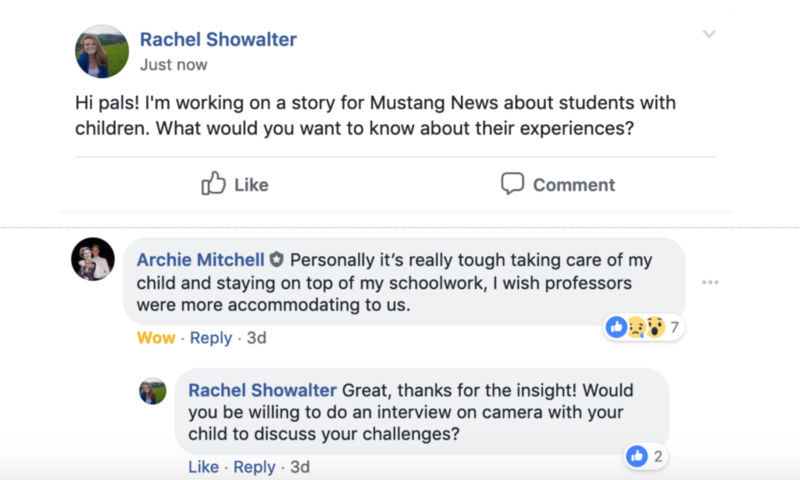 The most impactful of these reports was my backgrounder, where I surveyed to see if Mustang News and/or local news publications have ever done a story like this. The most poignant story I found was written in 2013, written craftfly by Aryn Sanderson. Sophie, our writer for this story, used this piece as a model for her own writing. Additionally, I used the power of social media to survey what the community wants to know about living with Autism at Cal Poly, and compiled it into a report for my team members to use as they move forward in their work. Emma Withrow, our passionate video team member coordinated and filmed the interviews, is really happy about our work. Withrow recognized how special it was to work on this project, “I feel so honored to have gotten to share the story of these amazing individuals. The process of interviewing them, especially surrounding such a sensitive topic, was truly eye opening. 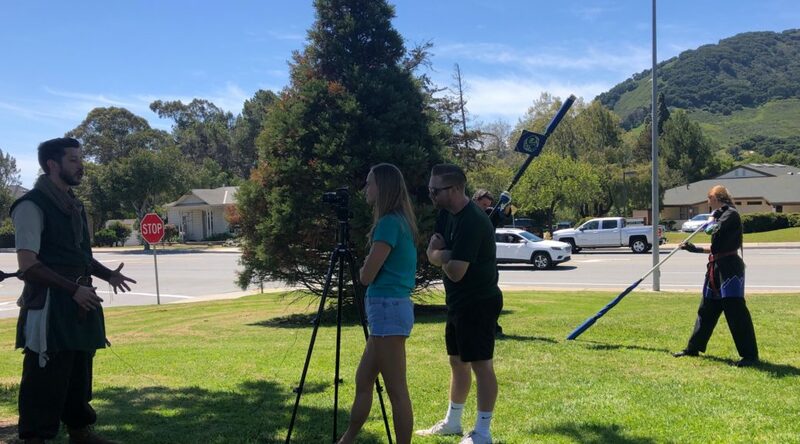 I am so glad we get to share some light on students at Cal Poly on the Autism spectrum.” Emma’s passion for broadcast really brought our ideas for this story to light. Emma checks on the camera angle during Jenny Peterson’s interview. Yasi Arami, our interactive / photos team member, had never even held a camera before this project, and she did a fantastic job! Below are couple of the fantastic photos that she took during and after the interviews. 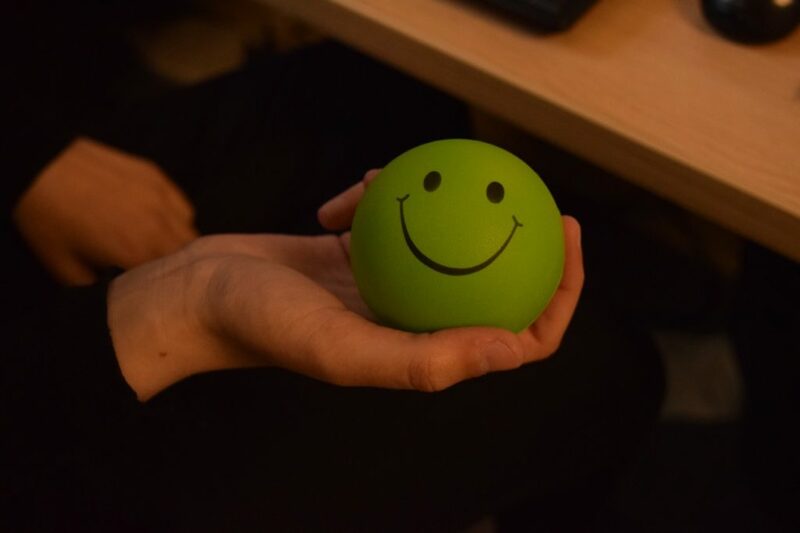 Some call this a stress ball, but for individuals with Autism, having something to do with their hands can help them focus. Yasi is really pleased with this process and our work as a team, “I learned a lot about photography and loved the experience of meeting and hearing the stories of our sources,” said Arami. And that’s the reason why we chose to write this story! 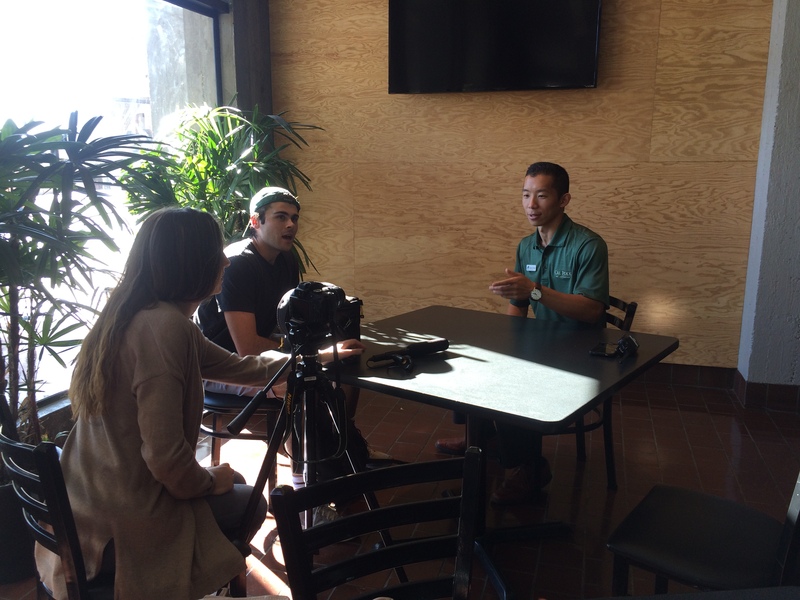 To work to flip the stigma around Autism at Cal Poly, and educate our community on the lives of incredible individuals. As we sat in our small circle going around sharing ideas, round and around we went brainstorming. We weren’t set on anything quite yet and then Bianka mentioned Latin Night at The Graduate. All of us looked puzzled and confused. “What is Latin Night?” We all asked. Bianka went on to explain, “The Graduate has a night dedicated to Latin music called Noche Caliente”, similar to line dancing also held at The Graduate. Seeing that all of us had no idea that this event even existed besides Bianka, we decided to dance with it a bit. Where oh where to start? Luckily Bianka acted as our guide. We set out and began story boarding. What types of photos should we take, how will we capture video, who do we interview, when is the event, and what is the general view of the event. Thanks to Abby, she helped to create our story board to get us going (story board). With Abby’s story board, Maddie set out to gather interview questions. What do we really want to know about Noche Caliente? Maddie included questions that would help give people a general sense of what the event entailed and what it’s really about ( interview questions). With interview questions in hand, camera in another, our group set out to Noche Caliente to show not only our journalism skills, but our dance moves as well. 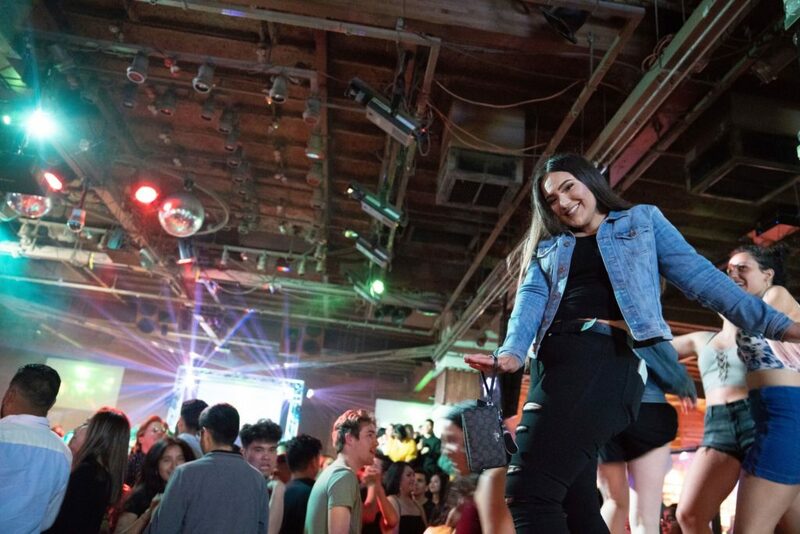 A regular attendee, Manny Aguirre explains why he enjoys attending this night filled with dancing, “But when I go for Noche Caliente, we walk in, we get on the dance floor and we don’t really step off the dance floor until we leave and that’s what makes Noche Caliente special for me”. 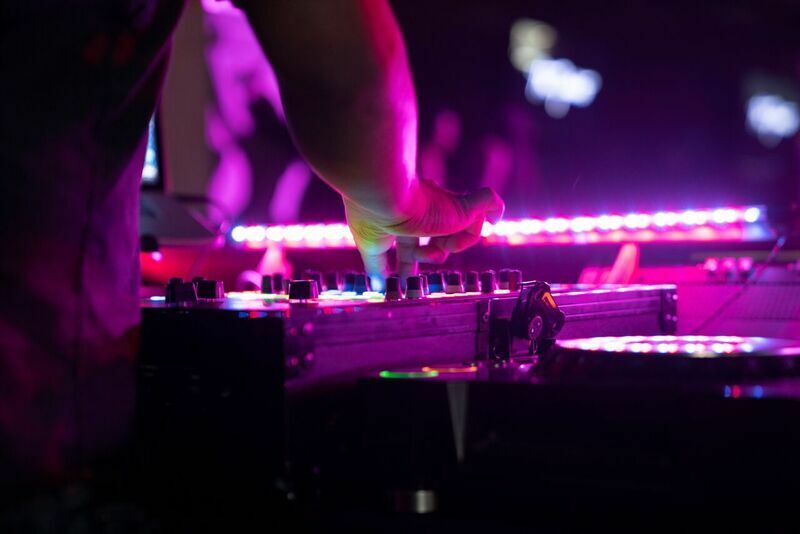 Here is a peek of what Noche Caliente is and what it’s all about (Video/peek). The night was filled with laughter, dancing, and above all else a great time with great people. Our play time was over and the real work began, with just one interview left, editing, and writing our team worked hard to piece our story together. As we ran down to the wire we hit a speed bump. Abbie sent us a message in the group chat saying, “Yeah he never got back to me…”, our final interview, the DJ had flaked out. The next day Maddie sent a message saying, “They’re not getting back to me. Might just drive to The Grad today and see if I can talk to anyone”. I think we are all a bit stumped like Nicole said “Hmm that’s so strange”. Not only stumped, but it was definitely stressful. Regardless of our speed bump we were able to sort it all out and pushed forward. Down to the wire with still a few more things to edit we danced our way to the finish. It was fun to cover something that most of us in the group had no knowledge of and it opened all our eyes to a new world. 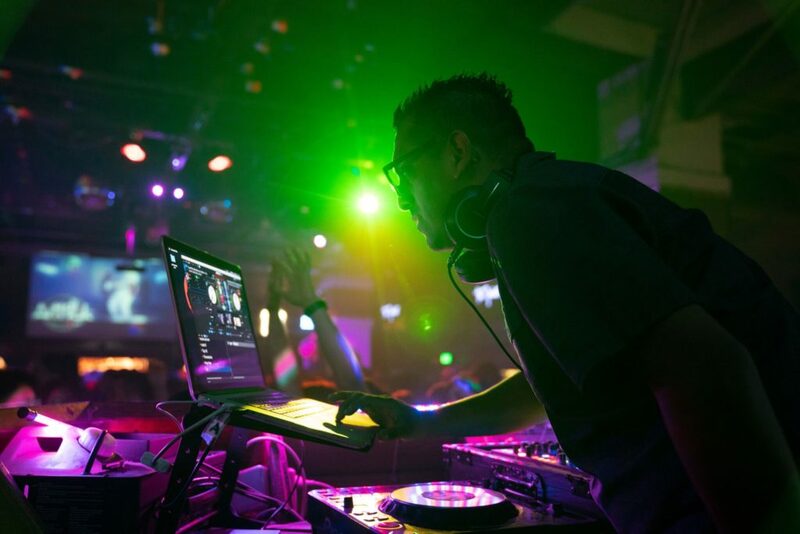 With so many fun events sometimes other events get overshadowed and Noche Caliente is definitely a hidden gem. I don’t think any of us really knew what to expect when we pulled up to Santa Rosa Park on a sunny Saturday. 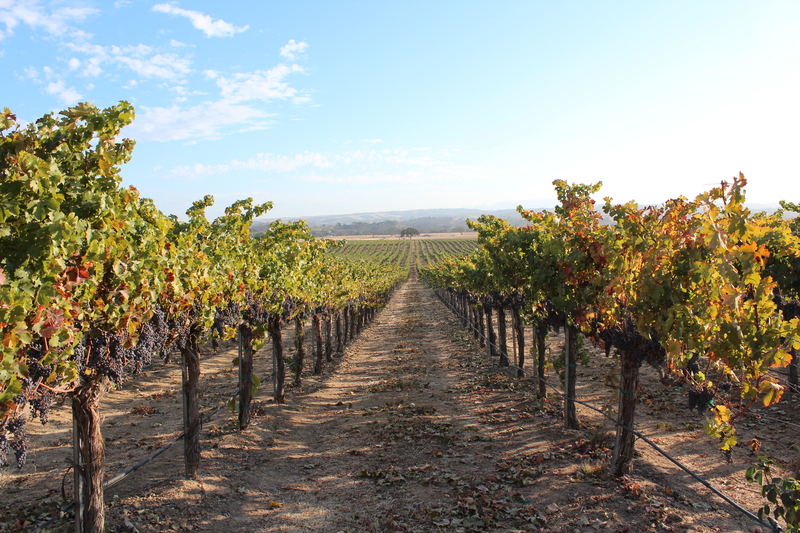 In the past, we had each individually passed by and seen the group of medieval costume-clad San Luis Obispo locals with foam swords and shields in hand. This time, we would become fully immersed in the subculture and hobby that is live action role play, better known as LARP. It all started when multimedia journalist Evan Van Beek explained to the group that in a previous class, he had tried to cover the local LARP group, but the story eventually fell through. What did remain, however, were his contacts from within the local LARP group, meaning we had some real potential for a story. Everyone in the group lit up with excitement for this topic and immediately started brainstorming all of the different ways we could creatively cover the story. 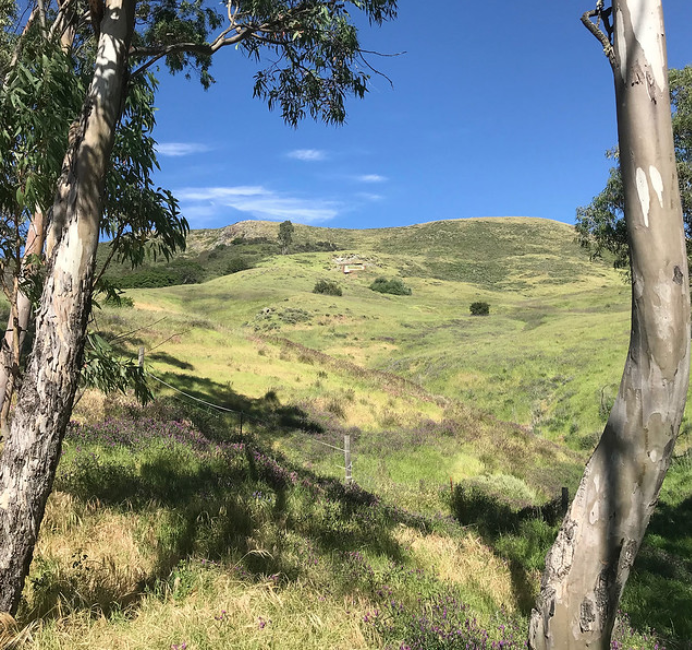 After doing some background research, we found that the local LARP group goes by The Seven Sleeping Dragons, named after the renowned Seven Sisters mountain range in San Luis Obispo. They are part of a larger organization called Amtgard, an international non-profit dedicated to medieval combat and roleplay. The Seven Sleeping Dragons originated as a Cal Poly club, but as the members graduated and still played regularly, they moved off-campus to Santa Rosa Park. Some members have 20-plus years of experience while others have only just picked up a sword within the last couple weeks. No matter who you are or how much experience you have, The Seven Sleeping Dragons encourage you to at least try it once. Our main contact from within the local LARP group was Larry Pena, a San Luis Obispo community member who’s day job is editing the Cal Poly Magazine. He was happy to help us with the story on one condition: each reporter attending the Saturday afternoon battle had to try their hand at LARP. When we arrived at Santa Rosa Park, a small group of players stood in a circle stretching their muscles and preparing their weapons. Fay, the monarch of the group, didn’t waste any time before handing us waivers and reinforcing the fact that we could only report on this story if we tried LARP for ourselves. Multimedia journalists Anna George, Jason Amberg and Vanbeek and I signed waivers, picked a sword from the loaner collection and listened closely to Fay’s exclamation of the rules of LARP. “Headshots are not allowed, but they do happen,” Fay said. We all reluctantly glanced at each other. We were actually going to hit people with foam swords… and get hit back. After a brief introduction to LARP, Fay invited us to practice fighting her. She would only play defense and hold off on fighting back until we felt comfortable swinging a foam sword at another human being. Amberg was the first to put his LARP skills to the test. He soon realized that yes: headshots do happen in LARP, even when your opponent is letting you win. Later, Amberg got in costume, joined the full-scale battle, and got whacked by foam weapons. A lot. 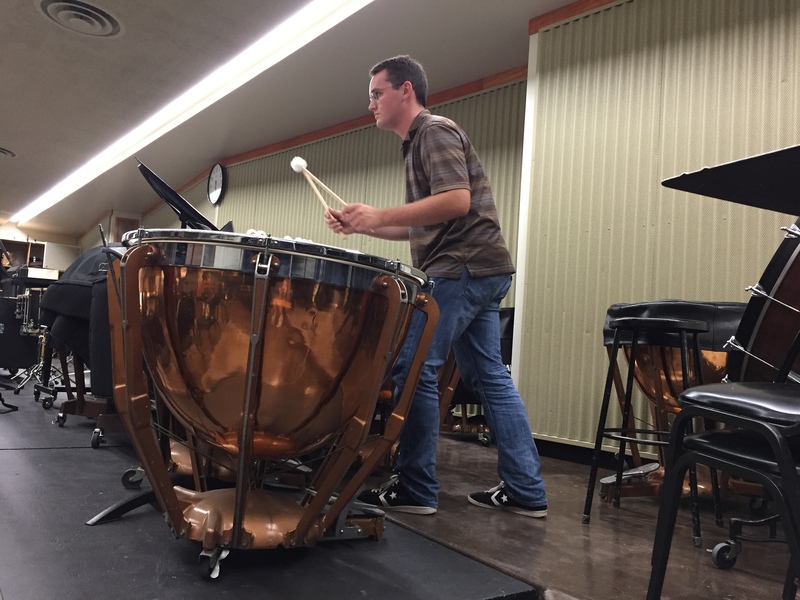 “My favorite part of the whole experience was getting in there and being a part of the action with my own sword and shield,” Amberg said. Next to give LARP a go was George. George was quickly recognized for her incredible speed and agility on the LARP field. We didn’t capture footage of Van Beek playing, but he did. And it was epic. “I enjoyed watching them play and how complex some of their games were,” Van Beek said. Once we all gave LARP a shot, Fay seemed to warm up to us a bit more. She explained that she had more than 15 years of LARP under her belt, it played a part in her decision to go to Cal Poly and she even met her fiance through The Seven Sleeping Dragons. Other players we talked to shared a similar sentiment. LARP was a lot more than running around with foam weapons in Santa Rosa park. For some, it was a great way to get outside, exercise and be social. For others, through crafting weapons from scratch and hand-making elaborate costumes, LARP served as an important way to express creativity. Some brought their children and spouses along, making the Amtgard battle a family affair. “Understanding who these people are and the community they have built was special,” George said. Something that surprised us during the reporting process was the constant harassment The Seven Sleeping Dragons face. Not once or twice, but frequently, people shouted derogatory comments from their cars with the intent to embarrass or shame the LARP participants. Even more incredible, however, was the fact that none of the members seemed phased at all. They are proud of what they do and don’t need society’s approval to enjoy their hobby. That’s something everyone can learn from.